As we reported back in October of last year, Begyle Brewing Company in Northcenter is in the process of building out their taproom following a successful community meeting to pitch their plans. While they've maintained a retail and growler filling to-go store since the early days of the brewery, you've never been able to drink more than a few onsite samples to test the waters before you buy. That's all set to change this year as Begyle has been busy this winter moving their plans from blueprint to reality. With the 30 seat taproom now well in the works, we stopped by to chat with co-owner Kevin Cary and get the latest details on the highly anticipated build-out. So let's get right to it. When's all this going to be done? It's going to be done... when it's done. Really though, construction will be done in about 4-6 weeks. In the meantime we'll have a really nice seating area. Whether or not we can actually serve pints for our awesome seating area is the other trick. We're probably at least a minimum of 60 days out on licensing stuff. 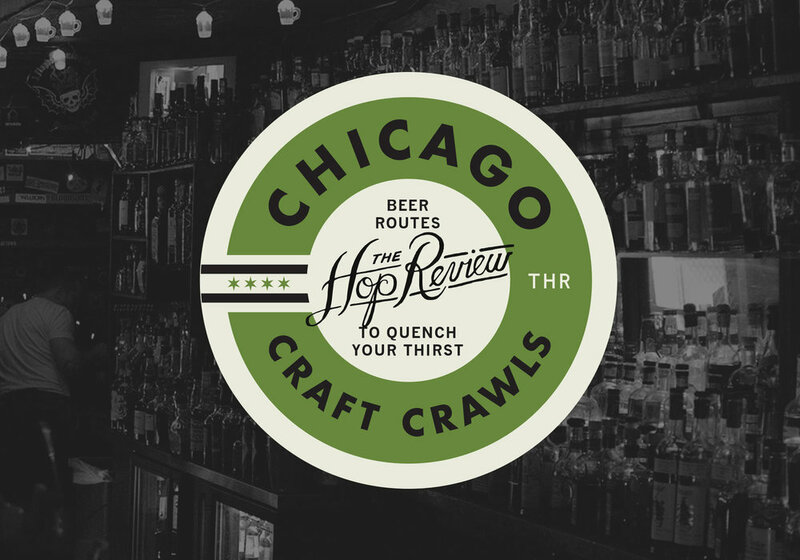 Ideally we'd be open for Chicago Craft Beer Week, but I'm putting the likelihood of that happening at zero percent! We're just really excited to see everything polished up and finished. We're going to continue doing tours. We're going to continue doing everything that we've been doing. We have more tanks coming in to add additional capacity so we have enough beer to sell pints in the taproom as well as sell to our customers. What kind of licensing do you have to get? The Federal and State licenses don't change, we just redraw our footprint. What the TTB (Alcohol and Tabacco Tax and Trade Bureau) recognizes as our brewery will change a little bit. The only license that we're adding is a license from the City of Chicago that will allow us to pour pints. Have you already filed for that? Yup, we're working with our lawyer right now. All the paperwork is in for that and now it's just a waiting game. When we started the brewery, we had our liquor license within 60 days of our public notice. I would say the most likely scenario for us opening would be within 60 days of whenever our public notice goes up. That means the Department of Business Affairs has actually accepted our application. During that time, they send out notifications to our neighbors and they give them a period of time to show support or oppose the project. ... to a newly poured concrete floor. 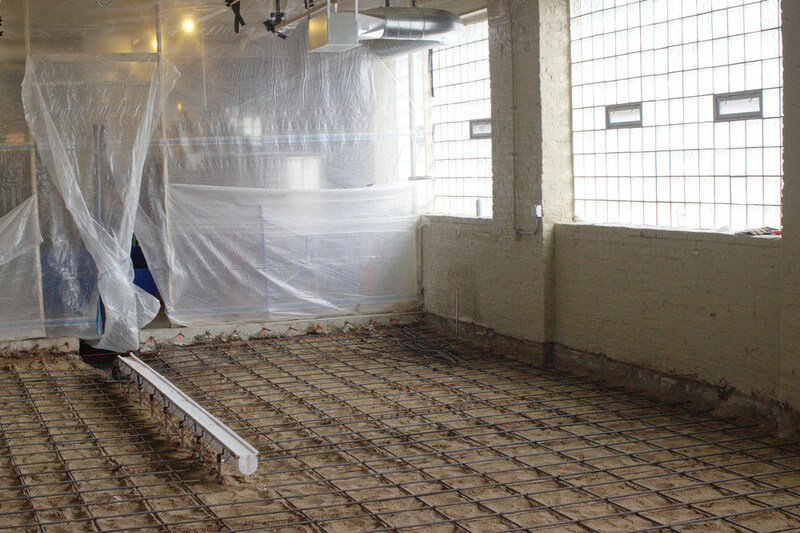 The new space will be split with the back half housing new brewing equipment to allow for increased production. Speaking of the neighborhood, how's the reception been since last year's community meeting? Very positive. We don't expect any major issues to come up from the neighborhood. All the questions at the community meeting were good and it was a great dialogue on how we were going to contribute to the neighborhood. We're all really excited to be open and the neighbors have been super supportive. They're just as curious as we were as to when it will be finished. The other big news this week was that Alderman Pawar was reelected. That's great for us as he is supporting our project. Any other plans we should know about? Yea, so we'll have a glass door at the back with a little flex space to use for overflow. On the side, we'll have a roll-up door that opens to the street so when we're not working we can have a food truck parked out there. It will be great in the summer to have the breeze flow through the taproom. Speaking of the summer, any chance we'll be sitting outside here? We can have the garage door open but we're actually looking into seeing if we can have patio seating. Thanks for the update Kevin! We'll be back in a few weeks to check out the latest progress. This sidewall will soon be taken out to provide access to Ravenswood Avenue and food trucks.